This was gifted to me and I have to say, it would not have been something that I would have picked up at my own will. It looks very intimidating in the tube, especially with the strong colour that is portrayed. But let me say, I would have been missing out on a great product and wouldn’t have the opportunity to show you what a great item this is! There are currently four shades in the range; peach glow, pink glow, bronze glow and coral glow. Each stick retails for $30 AUD at 0.38oz/ 11.0g. It is available to be purchased at the Laura Mercier Counter at David Jones or on Adore Beauty website. The Bonne Mine Face Colour Stick comes in a short, chubby stick with a cap. It has a rotator bottom that twists to expose the produce from the tube. Very much like any other Laura Mercier Product, it has the signature polished exterior, with the classic Laura Mercier theme. In my opinion, this product can do with some work in the packaging department. It’s not quite ideal for travel as the exterior is not scratch proof and some of the paint can easily scratch off the surface making the product look tacky and old if you happen to pop it in your purse often. But other than that, it is in a portable form that allows you to do that quick touch ups throughout the day and give you the control for easy application, which I like. The whole tube can fit inside the palm of my hands so it gives you some ease for easy storage. 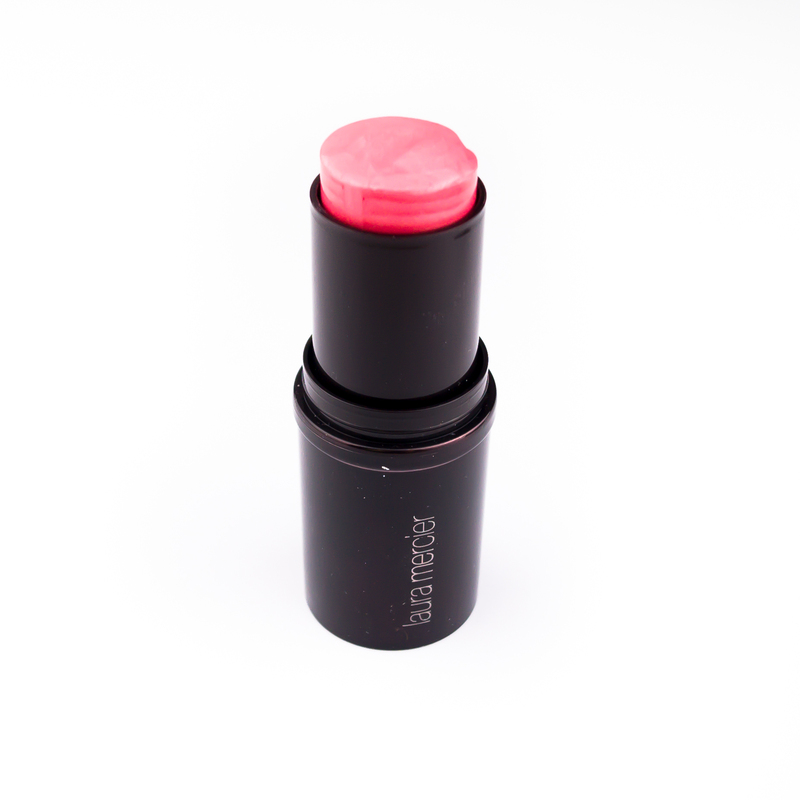 The colour ‘Pink Glow’ is described to be a bright pink shade with a luminous finish. It has microscopic sparkles that don’t translate on the skin from a distance – giving the skin the natural glow of highlight. The way I would describe this blush is that it provides the colour of a blush and the subtle natural glow of a highlighter. It gives the cheek such a delicate flush of pink that it seems as though your skin is just naturally radiant from the sun. It had helped structured my face – in terms of strobing – and it had also given some colour to my cheeks. It has a lightweight, blendable and buildable formula that you can wear comfortably on your cheeks. It gives such a beautiful glow to your face making you look radiant and gleaming from within. It is definitely transfer and water resistant. It does not budge from your cheeks once it has set – so it is definitely very long-wearing! It had claimed only 8 hours, but I had easily worn it for a full day of uni and work and colour was still visible! 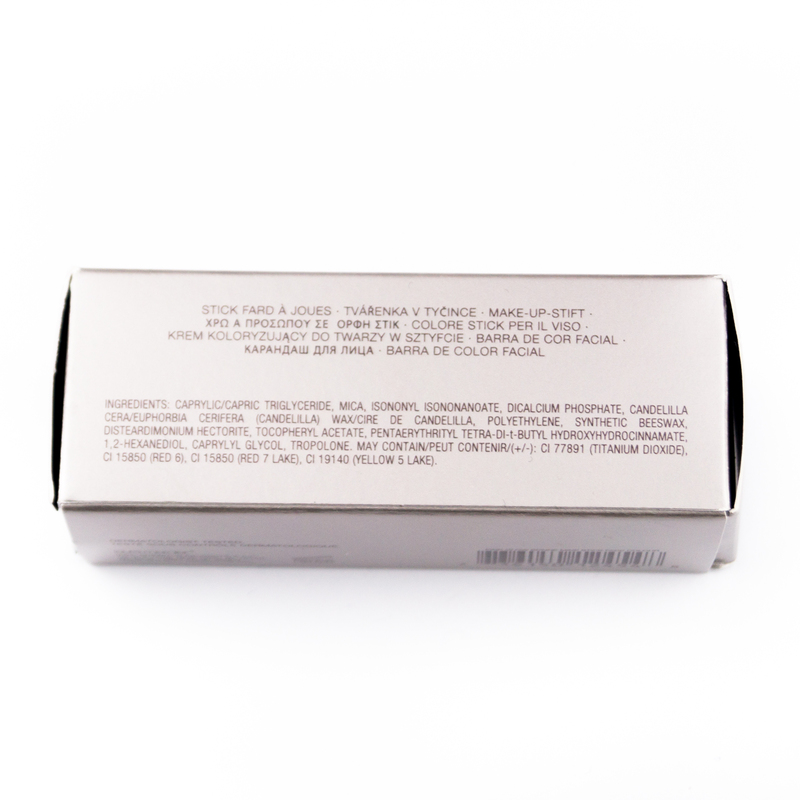 This product provides a sheer to a buildable light tint to the cheeks. It has a thin and light texture that does not accentuate fine lines or pores. I was immensely impressed with the way it was so easy to blend out the product with just my fingers. A few dabs and a few taps just did the trick. 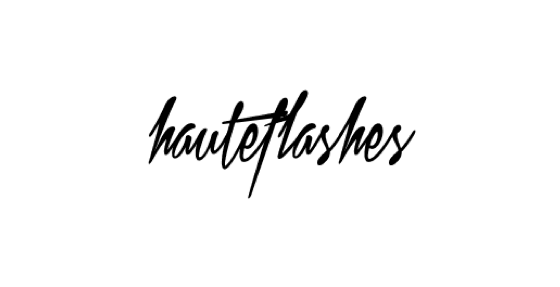 This product is very beginner-friendly and would be the perfect introduction to cream blush. I have quite dry cheeks and this product had not accentuated or drawn attention to my cheeks. This Bonne Mine Face Colour Stick is ideal for all skin types, not just dry skin and in my personal opinion, it would be suitable for all skin tones as well, despite there being a limited colour range. I would have loved to see a “Melba” shade or a dusty rose kind of shade in the range as well. Now the great thing about this product and what makes it so versatile and perfect for touch ups is that it is not limited to just the cheeks! It can easily be used as a lip shade as well! 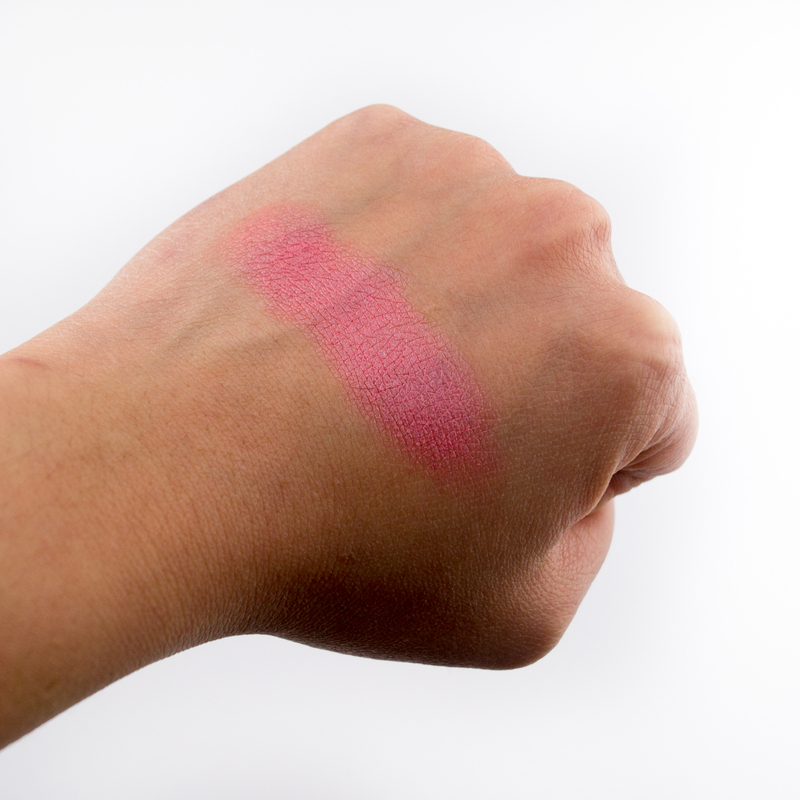 The colours are very wearable on the lips and they lasts just as well as any lip product, though it is a tad dry. And if you happen to purchase the bronze glow, it can also be a bronzing shade for those lighter skin peeps! This multi-purpose stick is great for those who don’t love carrying a lot in their bag. I know I don’t. Overall, this product is definitely matches up to powder blushes. It actually allows you to have more control over the amount of product you lay on your face, as well as the precision and placement of the product. 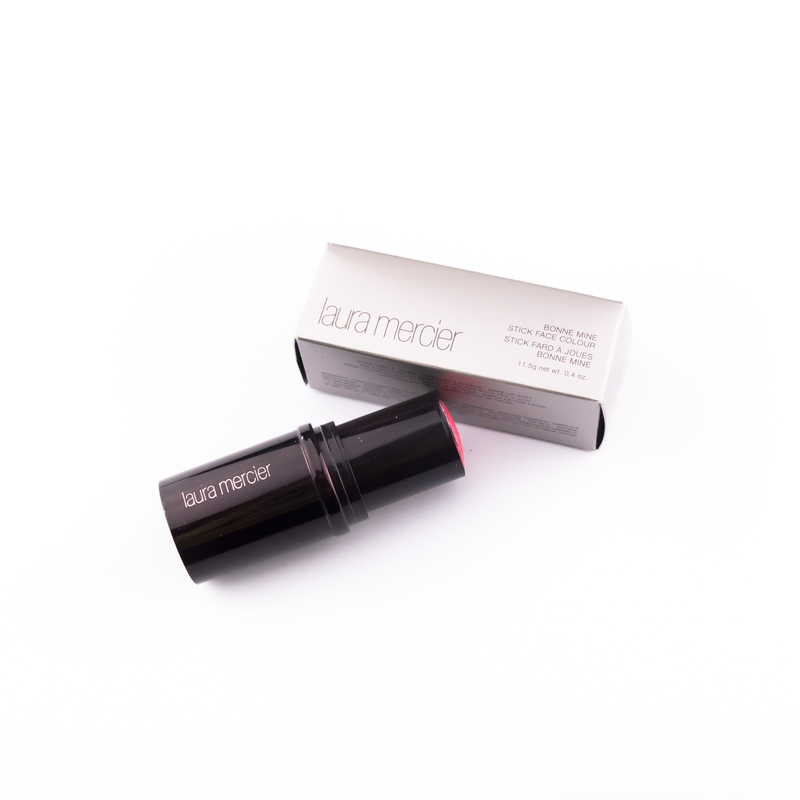 It is easy to use, very blendable, lightweight and a versatile product for the average travelling woman! Go check it out at your local David Jones or department beauty store! My apologies for not posting up for a long time! I have had a lot of assessments and work that I needed to commit to. Now that I am back, I will try my hardest to review more products for my loyal readers! I have a lot I want to share with you all while I was away! So stay tuned! Disclaimer: This product was gifted to me, but it is not sponsored or compensated. It is genuinely my honest opinion and have been tried and tested by me. All images belong and were taken by me. It sure is! What colour do you have? Yes! Definitely recommend! I don’t normally blog about something I don’t like. ^^ You have my word!